Performance opportunities begin shortly before the SXSW Music Conference. I-Taweh, a Jamaican born singer and guitarist, was invited to perform at a private party at the famed Arlyn Studios, owned by the family of Willie Nelson. I-Taweh and his crew, including Stephen Marley’s back-up singer, Rochelle Bradshaw and her uncle, Devon Bradshow (bassist) performed brilliantly and ended their set with On the Road Again a song made famous by Willie Nelson. The song was quickly noted by members of Willie’s family including his step son and engineer who invited I-Taweh to continue the relationship on a few upcoming Arlyn studio projects. The marriage of country music and reggae has always been a key influence in Jamaican culture. In fact, Willie recorded a reggae album in 2005, entitled Countryman. This experience at Arlyn studios and the connections made demonstrates how a special invitation can suddenly become a major musical experience and career booster. Flamingo Cantina, the reggae venue of choice, hosted two amazing nights of reggae showcases along with several daytime parties that further allowed visiting reggae bands to perform and meet additional fans. The Tuesday night showcase on March 14, included two of Austin’s best known bands, Micah Shalom and the Babylonians and the Mau Mau Chaplains. They were followed by Shinobi Ninja, a hip hop reggae band from Brooklyn, I-Taweh, from Jamaica, The Late Ones from Hawaii and California reggae band, Arise Roots. Both Arise Roots (strictly roots) and The Late Ones (hip hop reggae) were welcomed new finds who performed to a generously appreciative crowd. It is certain they will have additional opportunities in Austin and perhaps other places due to the visibility gained. The Wednesday afternoon Party at Flamingo Cantina included two local bands Guidance and Lion Heights, followed by I-Taweh and Pentateuch Movement. SXSW parties and showcases gave high quality local bands an opportunity to be seen among national and international musical presenters. 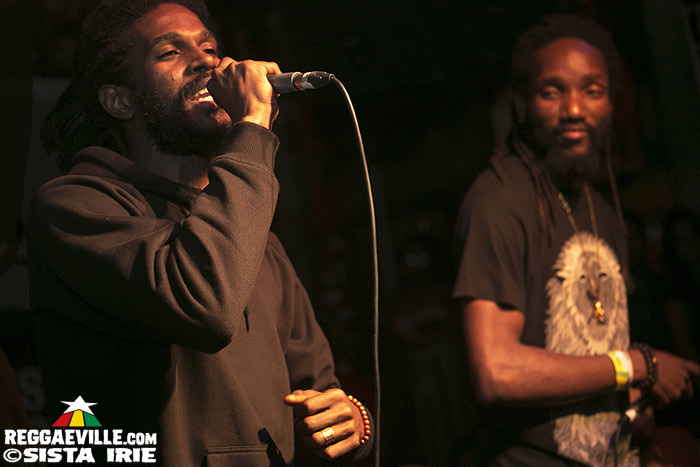 I-Taweh and Pentateuch delivered top rated performances increasing their fan base and reputation among reggae fans. On Friday, March 17th, the “Reggae Revival Panel” was followed that evening with the official Mixologi Reggae Revival Showcase. It was a beautiful spring night that began with a stirring performance from Pentateuch Movement. Between sets, sound system engineer Dutty Bookman, filled the air with classic vintage reggae mixed with popular releases by today’s top artists. The most outstanding performance of the night, was the lyrically potent singful reasoning delivered by Jah9. Her graceful beauty combined with fiercely delivered story telling silenced all conversation. Walshy Fire made his first Austin appearance with a wickedly engineered sound system followed by rising star Koro Fyah. 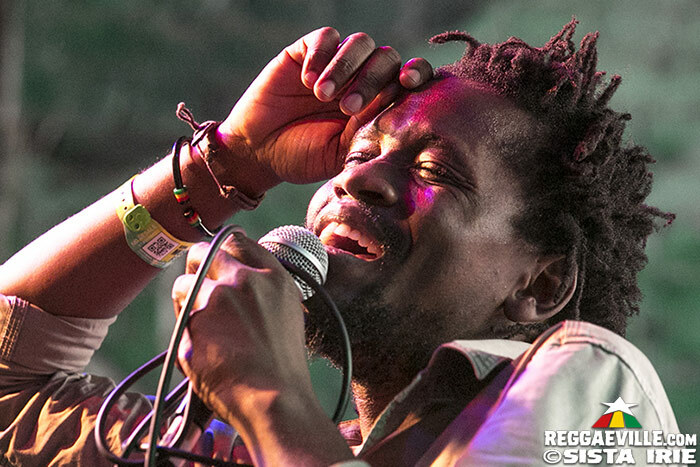 Kabaka Pyramid and the Bebble Rockers ended the night to a spellbound crowd. Unfortunately, poor scheduling by SXSW was the booking of the Morgan Heritage showcase at the same time as Kabaka Pyramid and at a different venue. Many more fans would have been able to attend Morgan Heritage, Chris Martin, Charly Black and other reggae acts sprinkled across the city. Rounding out the weeks events was a free community festival in the historic black side of town at Kenny Dorham’s Backyard. The festival was not a SXSW sanctioned event but one of many free music opportunities for those in the area. Next door is Tony’s Jamaican Food Trailer filling the air with the strong smell of jerk and curry. The highlight of Saturday was the three hour power show with I-Taweh, Pentateuch Movement, Koro Fyah and Kabaka Pyramid. The atmosphere was strictly yard style. Wiss from Israel Vibration and his family was there to check the vibes. This event introduced to many more fans the Reggae Revival and important messages to the community of East Austin in a family yard style setting. 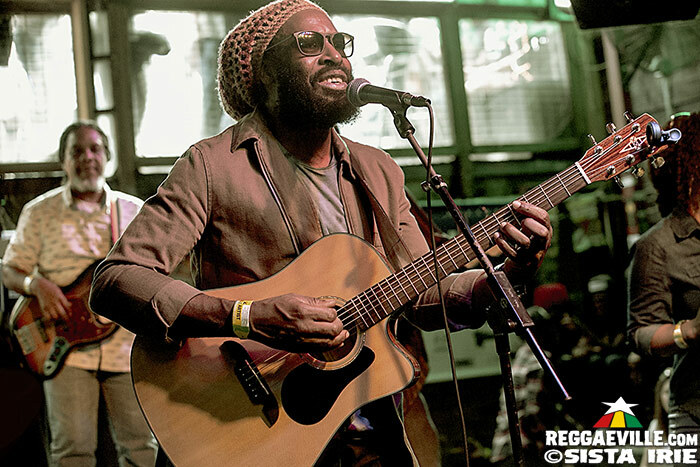 SXSW 2017 laid the foundation for expanded recognition and respect for the powerful revolutionary messages expressed by the talented artists of Jamaica’s Reggae Revival. Hopefully, the progress made this year will encourage ongoing expansion of SXSW as a launching ground for serious reggae artists going forward.